Is Daisy Dog a little less than fresh smelling? Is your four-legged canine buddy being bothered by fleas? Well, while not nearly as potent as modern chemical flea treatments (and many people think that's not such a bad thing!) 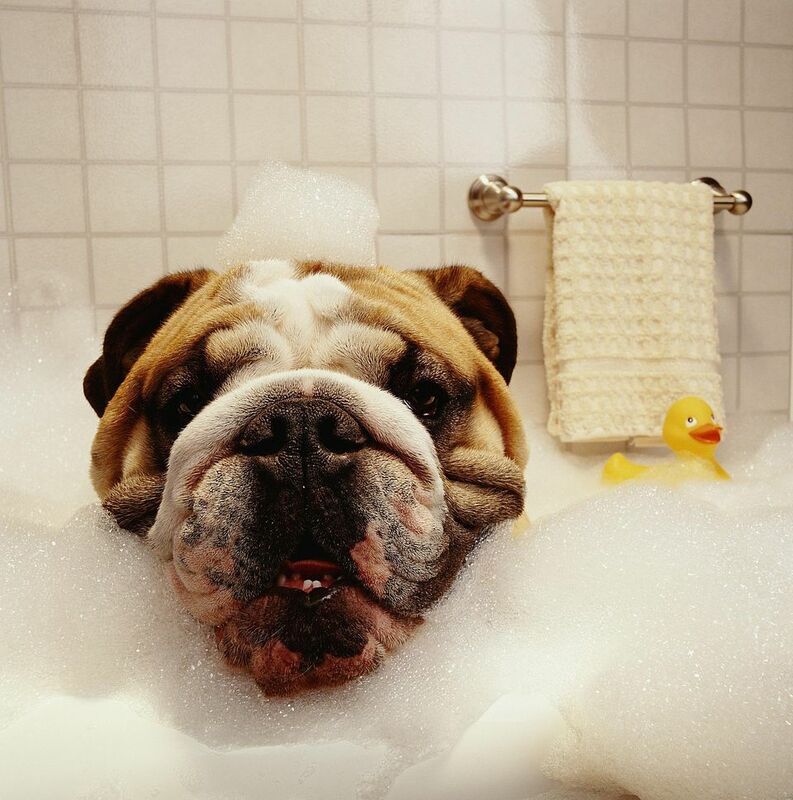 a good blend of essential oils in an oil-fortified soap can be just the ticket to get Mr. or Ms. Pupster fresh and clean and repel the fleas. The recipes below are all based on basic melt and pour soap making. (Though you can easily use the same essential oil blends in a ​cold process soap recipe as well.) Since you're not bathing your dog every day, a few bars of dog soap will probably last a while, so it's often not practical to make an entire batch of cold process soap. Peppermint - fleas don't like it...and it makes your dog minty fresh smelling! You can blend them however you like. Any of them in a blend will be good for Fido's soap. I usually try to balance out between top notes, middle notes, and base notes. You aren't limited by just these either. You could blend any other essential oils (patchouli, ylang-ylang, benzoin) you like in with them too. Be careful with citrus oils, though. They can cause your, or your dog's, skin to be more sensitive to the sun. Now remember, none of these are going to repel fleas like a chemical pesticide - but they are a natural, safe, effective alternative - and actually do better than you might expect. The following are some recipe blends that I've used, that I like a lot. (My dog Daisy is the freshest smelling pooch on the block! Note: Essential oils are very dangerous/toxic to cats and rabbits. Do not use this soap on cats! Melt and Pour Soap Base - it can be clear or opaque - or even one of the specialty blends like olive oil, shea butter, etc. .6 - .7 (.64) ounces of shea, avocado oil, etc. Melt the soap base and add the oils. When well blended, add the essential oils and stir again. Pour into molds and you're ready. Pretty easy huh. Let it sit for a few hours, and then put Daisy in the shower or hose her off in the driveway, and suds her up with your new dog soap. How Do You Make Basic Melt and Pour Soap? Make a Lavender Soap That's a "Dream"